In the last post about Géricault, we saw that the artist was commissioned with a series of 10 portraits of patients who were hospitalized in La Salpêtrière, the mental asylum from Paris. 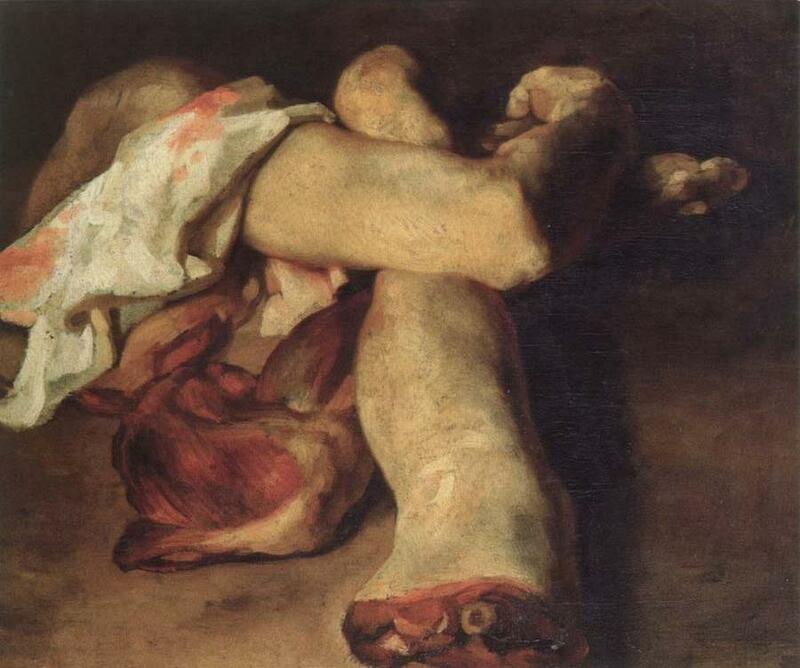 In this period, Géricault borrowed human remains from the morgue to paint them. Anatomical pieces cannot be categorized as an artistic study of human anatomy, because the remains are separated from the body, reason for which they have no value for this purpose. Neither can be thought as a still life (although the “stillness” is redundant). Compositions with vegetables, man-made objects and, even, dead animals don’t cause us the same level of rejection as this painting and that’s because the artist tries to give life to something dead. As we are all terrified with the idea of death and knowing that our body is eventually going to be the object of decomposition and oblivion, Anatomical pieces shocks us for its morbidity. ~ by Álvaro Mazzino on June 3, 2011. Like the Galaxy S6 and Galaxy S6 Edge Android 5.1.1 roll outs, we expect the Galaxy S5 Android 5.1.1 push to drag on over the course of several months. Part of the Jordan Brand’s Metallic Series that made its debut in 1985, this Air Jordan 1 keep things classic and simple as it features a premium White leather construction throughout the majority of the upper with Metallic Red detailing on the iconic Swoosh logo as well as on the ankle collar. This entry was posted on June 3, 2011 at 15:30 and is filed under Romanticism.You can follow any responses to this entry through the RSS 2.0 feed.You can leave a response, or trackback from your own site.